The American Revolution was neither inevitable nor a unanimous cause. It pitted neighbours against each other, as loyalists and colonial rebels faced off for their lives and futures. These were the times that tried men's souls: no one was on stable ground and few could be trusted. Through the fascinating tales of the first Americans, Legends and Lies: The Patriots reveals the contentious arguments that turned friends into foes and the country into a warzone. 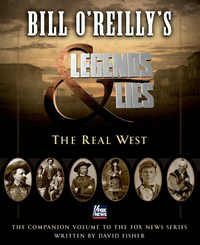 Heavily illustrated with spectacular artwork that brings this important history to vivid life, and told in the same fast-paced, immersive narrative as the first Legends and Lies, The Patriots is an irresistible, adventure packed journey back into one of the most storied moments of America's nation's rich history. 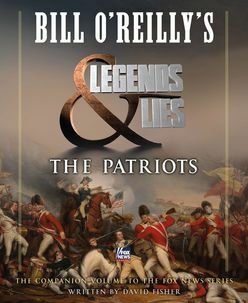 The must have companion to Bill O'Reilly's historical docudrama Legends and Lies: The Patriots, an exciting and eye opening look at the Revolutionary War through the lives of its leaders.